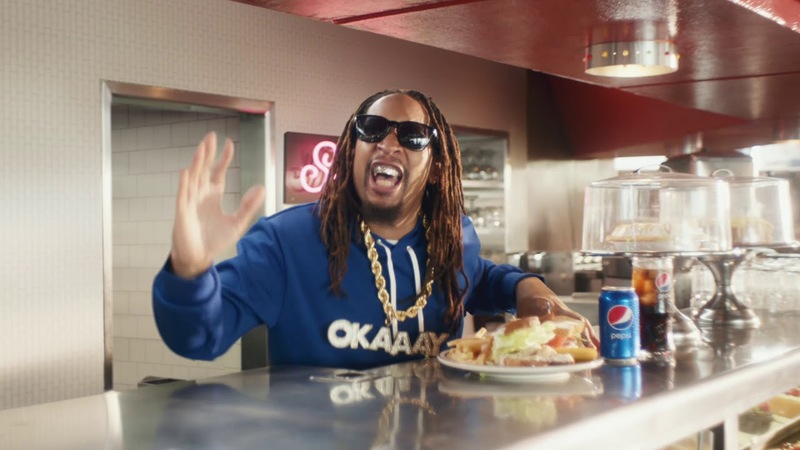 Rap superstars Cardi B and Lil Jon gave Pepsi their own signature stamps of approval an epic Super Bowl 2019 commercial which aired during the Big Game last night (Feb. 3) on CBS. Lil Jon is perched on a stool behind the counter wearing a shirt which bears the message “OKAAAY.” He shouts an exaggerated “Okaaayyy!” and then Grammy-nominated rapper Cardi B struts into the diner, Pepsi in hand and voices her mutual approval with her signature “Okurrr” sound. The whole ad is absolutely hilarious and one of the highlights in an arguably dull Super Bowl faceoff. Pepsi is issuing a verbal challenge to its biggest industry rival in a fun, almost self-deprecating kind of way in the ad. In short, everyone rocks! Other musicians who have previously represented include Michael Jackson, Madonna, Britney Spears, and Kanye West, to name a few. Watch the entire 2019 Super Bowl commercial above. Cardi B will perform as part of a star-studded list of music artists who are slated to appear at RODEOHOUSTON in Houston, Texas on March 1 (Tickets). She’s also scheduled to perform at the iHeartRadio Music Awards at the Microsoft Theater in Los Angeles, California on Mar. 14 (Tickets).